As pioneers made their way westward, the monotony of the trail was broken here and there by natural roadsigns which reassured them that they had reached milestones on their journey, or signaled that it was time to make a sharp turn. Some of these were truly spectacular sights, such as Scotts Bluff, a formation of fragile Brule clay rising 830 feet above the plain in western Nebraska. 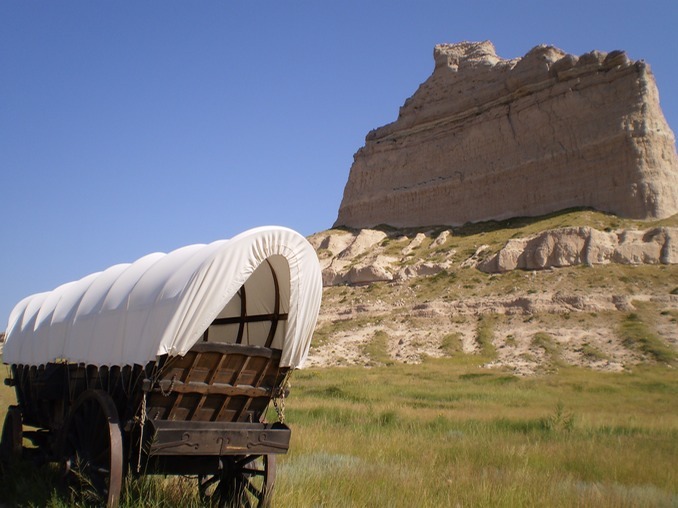 Some emigrants preferred to take the twists and turns of Mitchell Pass, a gap in the bluff that marked an alternate route west, instead of following the well-worn route of the Platte River Road. 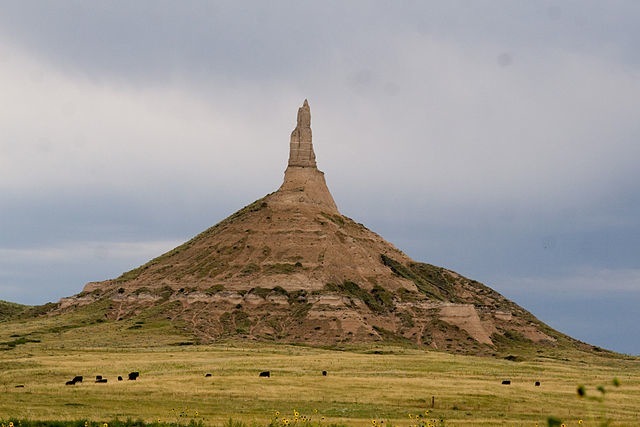 Chimney Rock is also located in western Nebraska, thirty miles southeast of Scotts Bluff. Like a number of its namesakes around the country, Chimney Rock truly does resemble the stark remains of a frontier cabin that has been burned to cinders. It is slightly less prominent today than when it was first noted in 1827, whittled away over the years by wind, rain, and lightning strikes. In 1992 a tourist’s video camera reportedly captured a single lightning bolt which took a few more feet off the top. Modern travelers looking at Guide Rock, the hill outside the town of the same name in Webster County, Nebraska, might ask, “Where’s the rock?” Apparently there used to be one, since geologists once referred to the site as a “pillar" formation, suggesting that the hill may have been crowned by a spire. 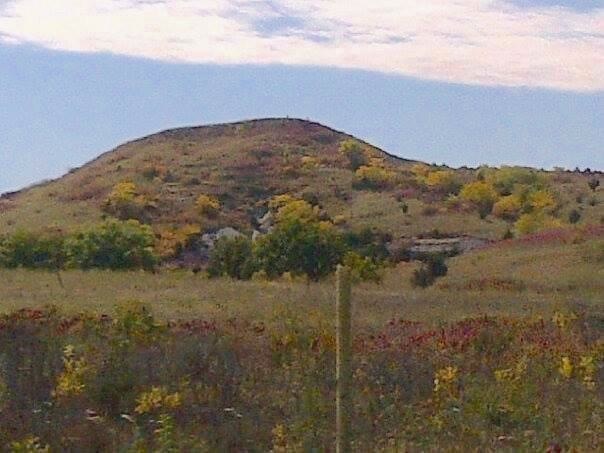 All that remains of Guide Rock today is a modestly-sized loess bluff. There is speculation that what was once a sacred Pawnee site was destroyed by human hands, purhaps hoping to repurpose the stone. 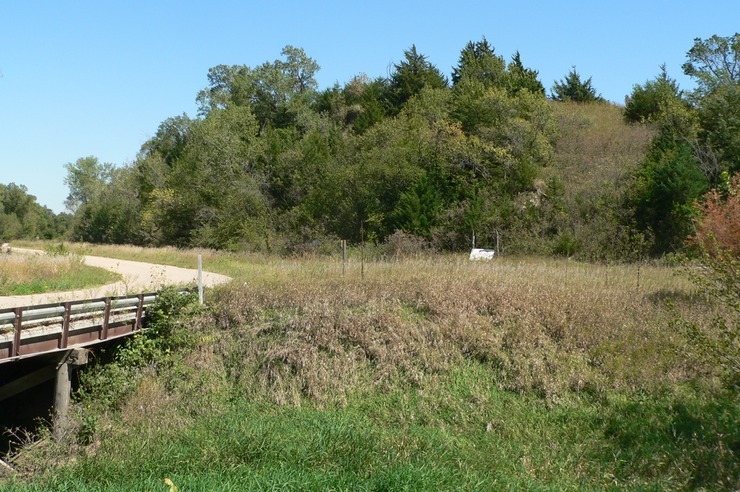 Anyone who has even leafed through Roy Alleman’s “The Bloody Saga of White Rock” will recognize the name “Round Mound” as the gently-curved feature west of the settlement of White Rock City in Republic County, Kansas. In the picture below, provided by Phil Thornton, numerous rocky outcrops can be seen along the slopes, where early settlers harvested foundation stones. A few years later, it was one of the hills that yielded a great quantity of soft, damp limestone building material. Cut into blocks with handsaws, it hardened when exposed to air, and was then used to form the walls of schools, store fronts, and durable farmhouses. This would have been the order in which Thomas Lovewell encountered these landmarks after he left the Rocky Mountains behind him on his return trip from California in the spring of 1865, each one a signpost telling him that he was drawing closer to the little valley he would call home for the rest of his days. Most of these features are sufficiently well-known that the pictures were posted on Wikipedia. The photo of Chimney Rock was originally uploaded to Flickr by Michael Tigas. Phil Thornton promises a better picture of Round Mound when he visits this summer. Perhaps he’ll even climb to the top and take a panoramic shot of the view from the summit (Hint, hint).